It’s tough being the smartest girl in the room. Just ask Hillary Clinton or Nancy Pelosi. In a not surprising look at the discussion dynamics at the White House Wednesday night on the issue of DACA recipients, Pelosi was in the middle of answering a question from President Trump when all the men at the table simultaneously started talking over her. Her riposte about whether a woman was allowed to speak stunned them into silence. But the bigger point is, common courtesy would have dictated that they would have respectfully listened to her full input before speaking. Not to brag (well, okay, my son says I am bragging when I talk about these things), I was often – if not the smartest – at least among the smartest girls in the room in school and at work. If I may be so familiar, I have felt Hillary and Nancy’s pain, though certainly not on issues so vital to the domestic and foreign policies of our country. Still, I have to confess I would have rather have been the most beautiful girl in the room…inches taller, much blonder and blue eyes instead of brown. Also without the glasses I began wearing in junior high. But that is beside the point. It is also not the main point I want to get to: to wit, that in my experience, I was not surprised when the men in the room ignored what I had to say, but to what lengths the women I worked with and volunteer with would/will go to silence me. One colleague once sent me an article in the company mail on “The Art of Listening.” She attached a note saying she thought I could benefit by listening more in meetings and speaking less. I sent it back to her with my own note attached, thanking her for her concern but assuring her that if I spoke up in a meeting and made a fool of myself, it was on me. Another time, I was making a point in a room full of people on a satellite call when my female supervisor literally reached her hand over and put it on top of mine to stop me from talking and then began speaking herself. Still, because the smart girls in life are usually encouraged by teachers, professors and some grateful employers for our intelligence, it does sting when anyone tries to take that affirmation away from us. It is frustrating when it is a man; it is especially stinging when it is another woman. I am not sure what the moral of this tale is. I haven’t watched TCM tonight for my usual dose of inspiration. But a moral there is. When I come up with it, don’t expect me to be quiet about sharing it, either. ‹ PreviousCheryle Johnson is a former newspaper reporter who has won awards for her journalism coverage and poetry. 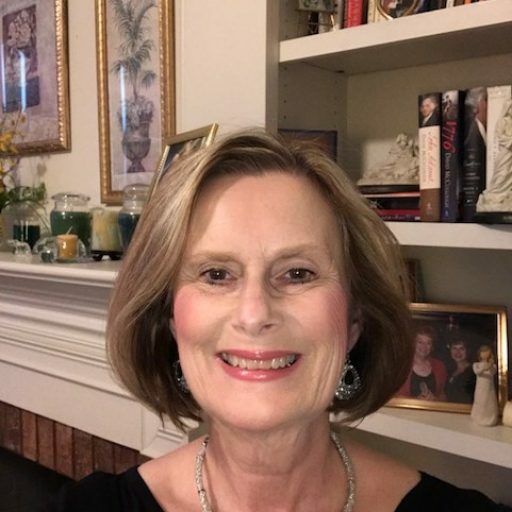 Now a senior of the metro Atlanta area, she is the author of “Poems for Catholics and other Christians.” She is currently at work on her second book of poems.